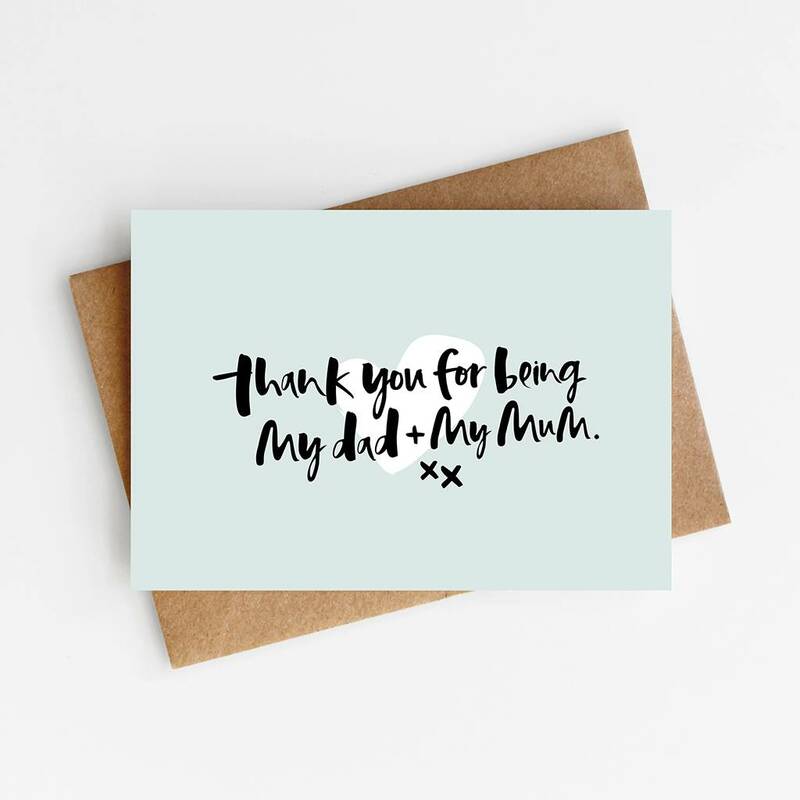 A super-special Father's Day card for the Dad (and the Mum) in your life. 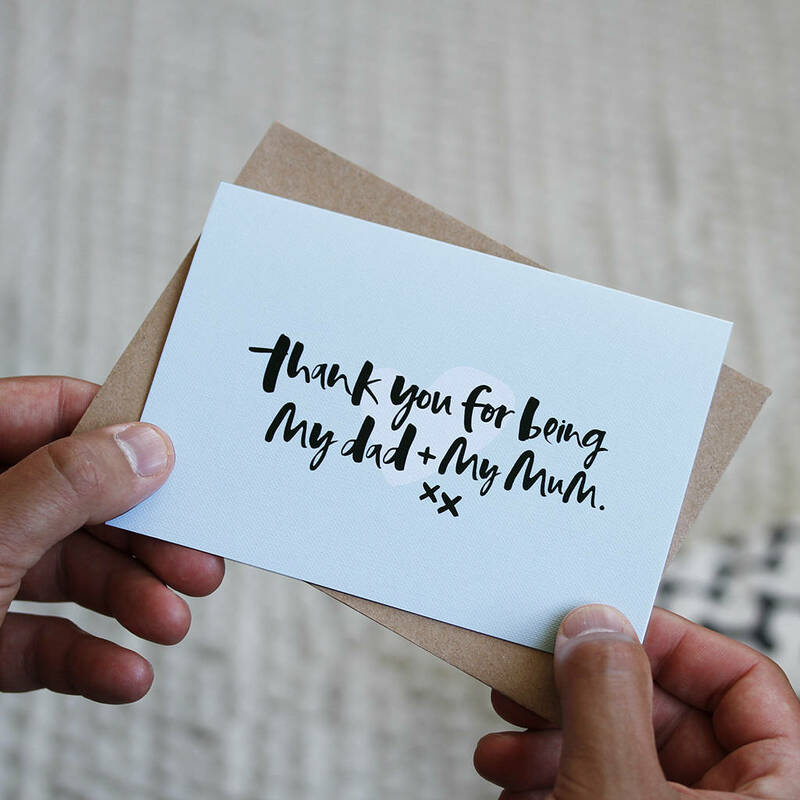 Every family is different and we love to celebrate that! This card is designed especially for the Dads out there who play every role in your life. 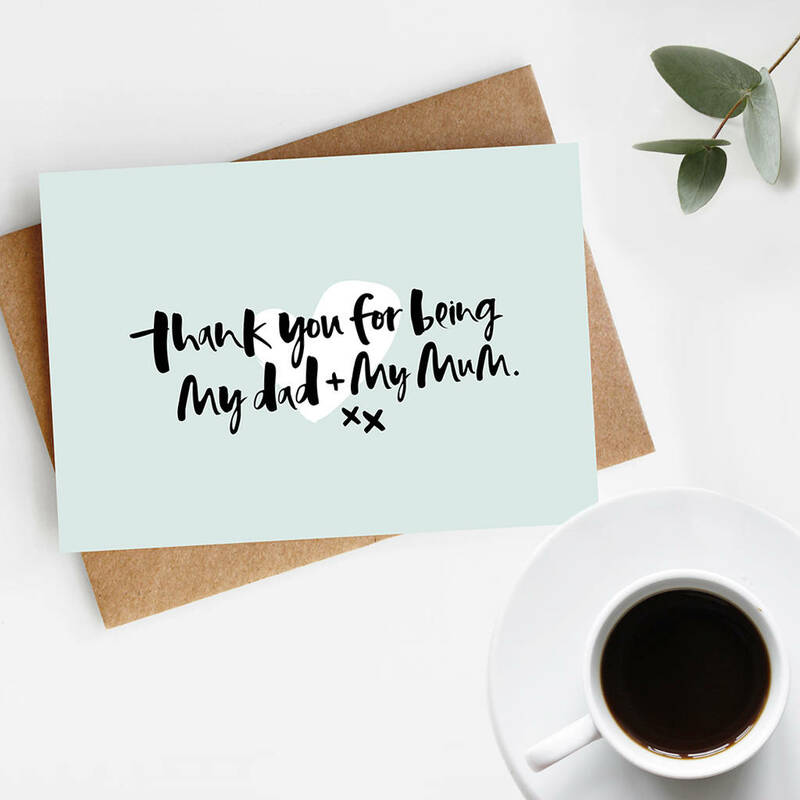 Featuring our classic, hand lettered typography, the phrase 'Thank you for being my Dad and My Mum' is written in deep black ink, layered over a pastel green background and a hand drawn heart .Show your love and gratitude for a super-special Dad, this Father's Day.